A 28-year-old hacker currently serving a six-month prison sentence for computer crimes now says that authorities asked him to help the United States gather information on Mexican drug cartels, then charged him with dozens of counts after he refused. Fidel Salinas of Texas started his half-year prison sentence last Friday, according to court documents obtained by RT, three months after he accepted a plea deal that saw him owning up to a single count of accessing without authorization the computer system of Hidalgo County in 2012. 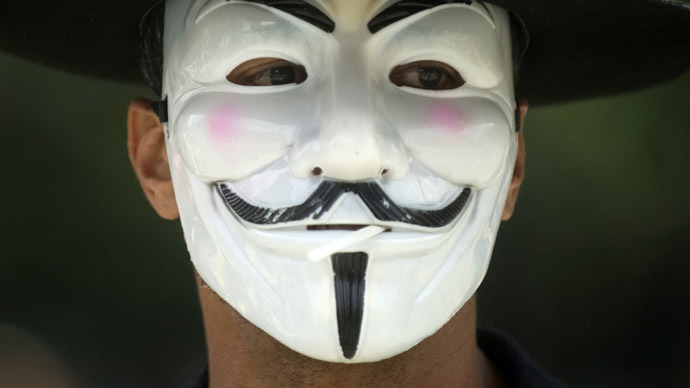 The activity was part of an operation that authorities say involved the hacktivist collective Anonymous. This Wednesday, however, Wired reported that Salinas said ahead of surrendering to US Marshals last week that the agreement he reached with the Department of Justice was hardly the first time that the two had discussed a deal. According to Wired, Salinas told journalist Andy Greenberg that agents with the Federal Bureau of Investigation attempted to recruit him to assist with the FBI’s own intelligence gathering operations in 2013. After Salinas shot them down, he soon found himself being charged with dozens of counts through no fewer than four indictments filed in US District Court for the Southern District of Texas. 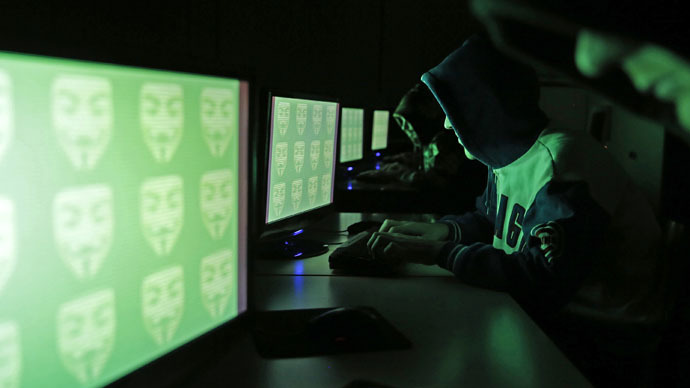 In May 2013, Greenberg wrote this week, the FBI interrogated Salinas for six hours, during which they allegedly asked him to harness his cyber skills in order to help federal authorities gather intelligence on Mexican drug cartels — a previous target of Anonymous. Authorities had first executed a search warrant on Salinas’ home in January 2012 and then waited nearly a year-and-a-half before having the conversation he now alleges occurred. The Justice Department finally unsealed a one count indictment four months later in October 2013, which claimed the Texan had attempted to breach the official website of Hidalgo County in January 2012. More charges came the following April, however, and RT reported at the time that Salinas was facing a maximum of 440 years in prison if he was found guilty on all 44 charges. Cyber attorney Tor Ekeland later took up the case pro bono and helped Salinas iron out the plea deal entered last year, trading in the 44-count indictment in exchange for a single misdemeanor charge. “The more I looked at this, the more it seemed like an archetypal example of the Department of Justice’s prosecutorial abuse when it comes to computer crime,” Ekeland told Wired at the time. Upon hearing the latest allegations, however, he weighed in once more.